1. Get all winter/Christmas decor stowed away in the shed. Find a few new springy house decor items. Done. Well, the stuff is put away. I haven't really been out to find new decor, but I got new placemats and a print, so there's that. 2. Design/order bridal shower invitations for future SIL. Done-ish. I ordered these (with a few changes) and now have to get them printed. 3. Mail birthday gifts for March on time this year. Nope. Not even a little bit. In fact, they're not out as I type and probably not out as you read. 4. Complete the Warrior Dog Dash 5K on base this month. Yes. 5. Complete the 21 Days of Pilates. Obviously. If I'm good for anything, it's Pilates. 6. Read at least 6 books. Yes, actually. Forthcoming book post on 4/11. 1. Try a really long audiobook. Most audiobooks I listen to are between 8-12 hours. I got it into my head that I wanted to do a much longer one, just for the experience. The most involved I've done was 11/22/63 (really enjoyed it) at 30 hours. Scott's favorite long book is The Pillars of the Earth and we have a friend who swears by Atlas Shrugged. I get my new Audible credit each month on the 7th, so the plan is to start The Winds of War this weekend. It's 45 hours. 2. Really make use of the charcoal-teeth-brushing method. I've used it sporadically but need to commit to every day. White strips make my teeth too sensitive so I'd like to try a more natural method. 3. Attempt to spend less than $100 per week on groceries. This is hard and I'll write a forthcoming post about my reasoning/rationale for often spending more than $100. 4. Watch a Lord of the Rings movie. Now that I've finished Star Wars, it's time to move on. I've never seen anything LOTR. How many movies are there? I don't even know. Then I have a few goals I'm not putting on the blog #becauseinternet so we'll see. Don't want to bog myself down with too much and I generally only put up goals I assume I can be successful at. That's my strategy. 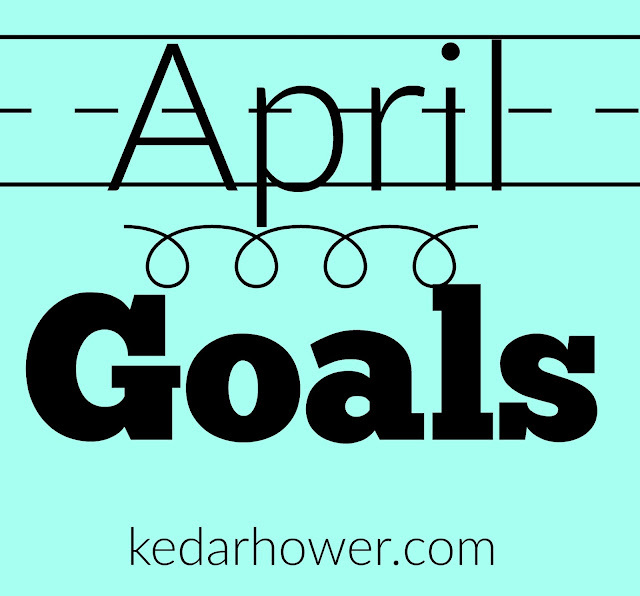 Do you have any goals for April??? The Lord of the Rings movies are pretty fun. I tend to like this "epic" story genre quite a bit, although I'm not personally a huge fan of Frodo. I love to see how other people grocery shop. We spend a small fortune each week but I justify it since I don't go out for lunch anymore. 45 hours is so long! I hope it's a good narrator! When my grocery bill is less than $100, I'm usually giving a fist pump at the cash register. Groceries are so darn expensive. We try our hardest not to shop until we absolutely need to. The biggest problem is that it's just 2 and it costs a lot to keep Keith fed...I can't imagine with more! YESSSS to LOTR!! There are three, and also three Hobbit movies. Technically the Hobbit movies come before LOTR chronologically, but it's not necessary to start with those. Unlike Star Wars, where it won't make any sense unless you at least somewhat understand the timeline. I went to the store the other day and spent $110 on about 7 items (mostly on sale) that anywhere else should have been no more than $50. I absolutely hate grocery shopping because it is impossible to save money here. We also went out to this new DIY frozen yogurt shop in town and didn't realize until we went up to pay that the owners are charging 75 cents PER OUNCE. We didn't even fill our cups and it was $22 for the two of us. On the other hand, we went to Menchie's with my mom and sister in Seattle, and for all four of us (and we went pretty wild with toppings and such) it was about $30. Freaking ridiculous. 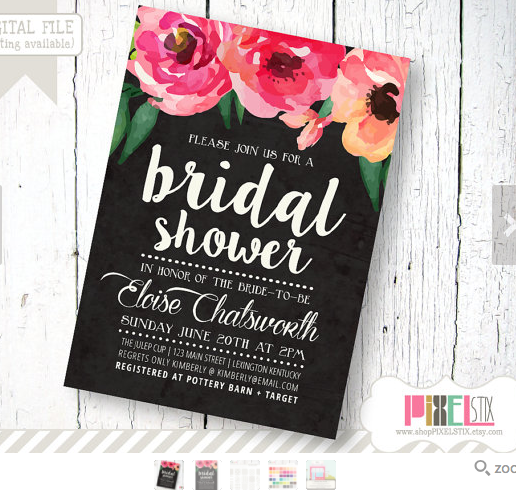 I absolutely love the bridal shower invitations! I saw the first three LOR movies in the movie theater. I decided at the end of my life, I want those 9 hours back. Good luck with your goals this month!